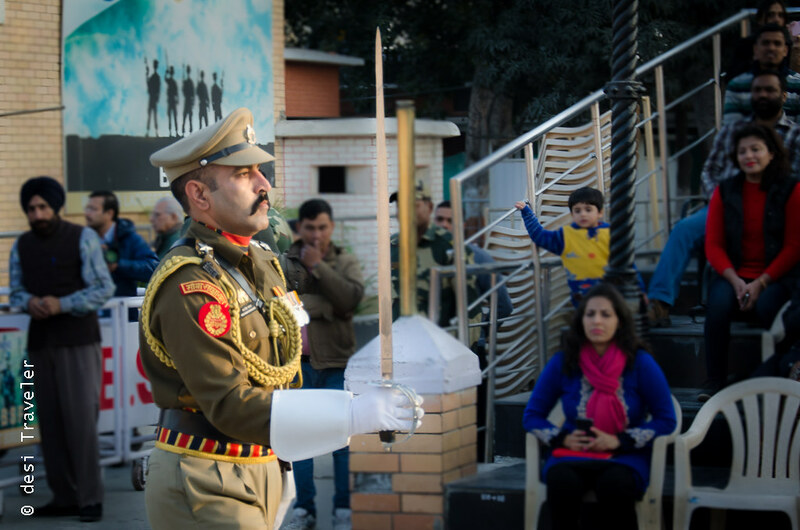 I first saw Wagah Border Ceremony with wife jee and daughter and it was a nostalgic trip for us as across the barbed wires and imposing gates she could see Pakistan. 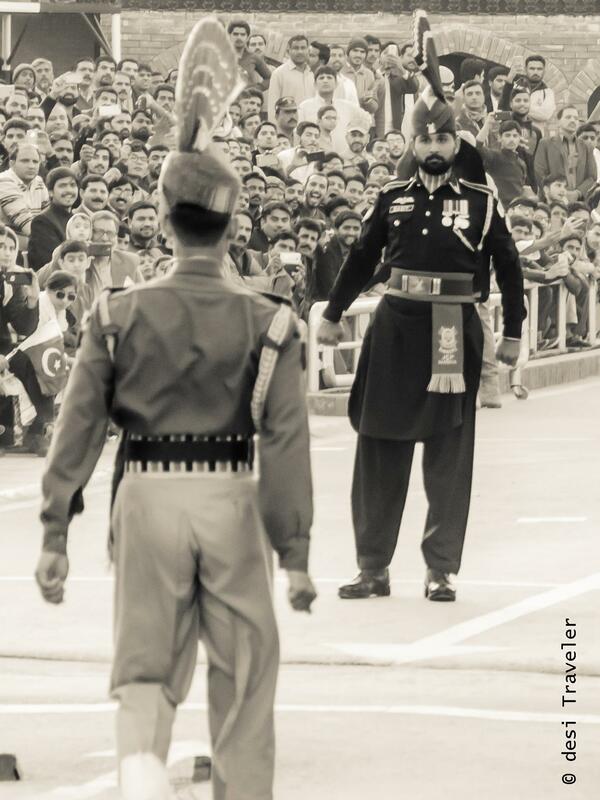 After that, I have watched Wagah Border Ceremony many times and each time I come back with a different feeling. Situated just 31.5 KM from the holy city of Amritsar, Wagah is not just a border it represents everything that the two nations theory based on religion proposed and succeeded during the Indian freedom movement. What were one people for more than 5000 years were two countries overnight and continue to go to war periodically? Anyways I digress, let me take you to the Beating Retreat or as it is popularly called Flag Lowering Ceremony by Border Security Force and Pakistan Rangers at Wagah border. Interestingly both Indian and Pakistan call it Wagah Border, technically Wagah is in Pakistan and the village on the Indian side is Atari, the last station on Indian Railways, from where you can take a Train to Pakistan – called Samjhauta Express. I am not comfortable with the idea of a stranger painting on my face so I backed off. I was immediately declared unpatriotic, and a miser as I was not willing to shell out 10 Rs for artwork by this aspiring Picasso. 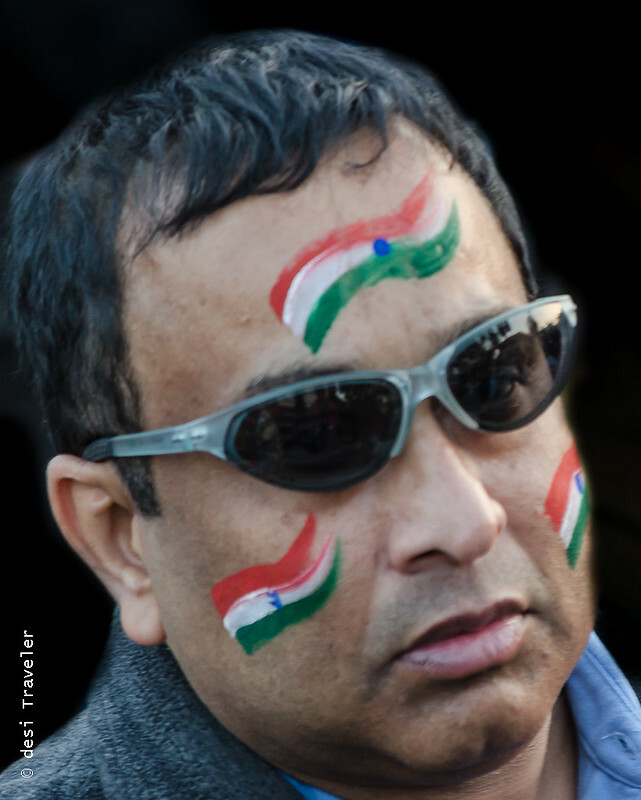 But other folks around love the idea and are happy to be painted with Tiranga on their faces, I see old aunties, young boys, NRI families who have special entry and gallery dedicated to them. There are also some foreigners who are amused at all this but love the attention we desis shower on them. 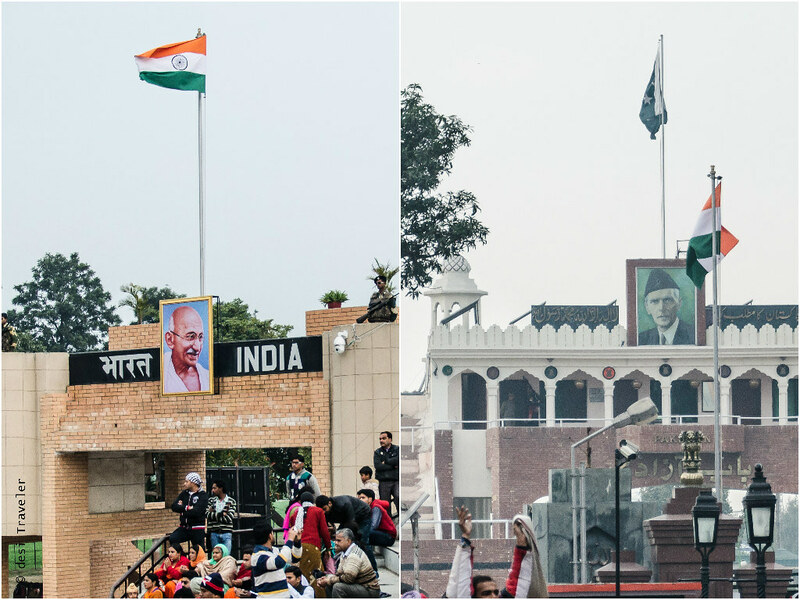 The Wagah Parade Ceremony has not changed much since its start in 1959 and begins with patriotic slogans on both sides. Typically the Indian side takes lead with a jam-packed stadium while the Pakistani side rarely fills the capacity on one side of the stadium. The sloganeering competition is a one-sided contest with Indians outnumbering Pakistanis on any given day. 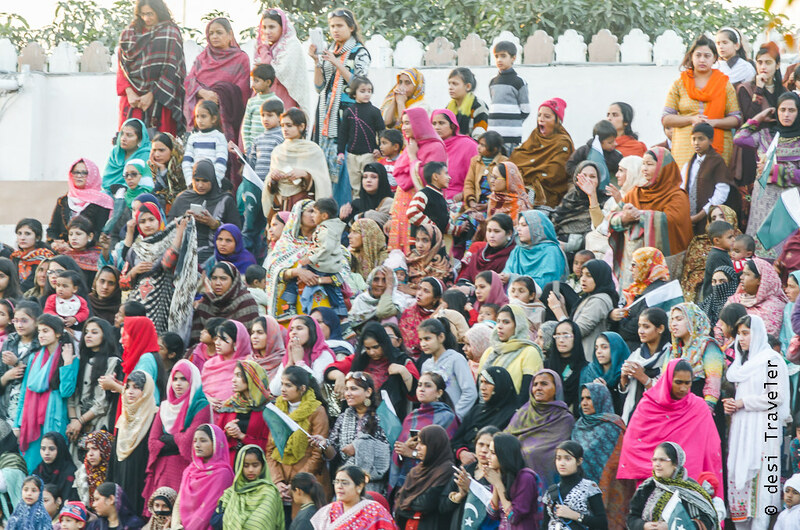 The Indian side of Wagah is totally jam-packed every day and we are expanding the stadium again! To give credit to Pakistanis their crowd appears to be more disciplined, almost bordering boredom and are waiting for the ceremony to start. 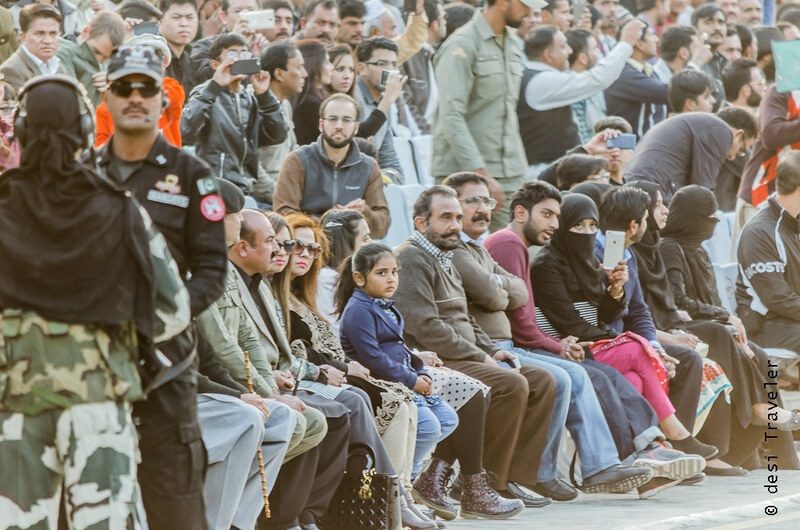 It was interesting to note that men and women were sitting in different galleries on Pakistan side, with only a few women sitting with men in what appears to be their version of VIP gallery. Soon a brief history of the ceremony is played on the Indian side on loudspeakers and one of the officers of BSF ( Border Security Force ) announces that the daily ceremony is about to start 2 women officers of BSF are the first one to march towards the gate and are greeted with a thunderous applause by the crowd. 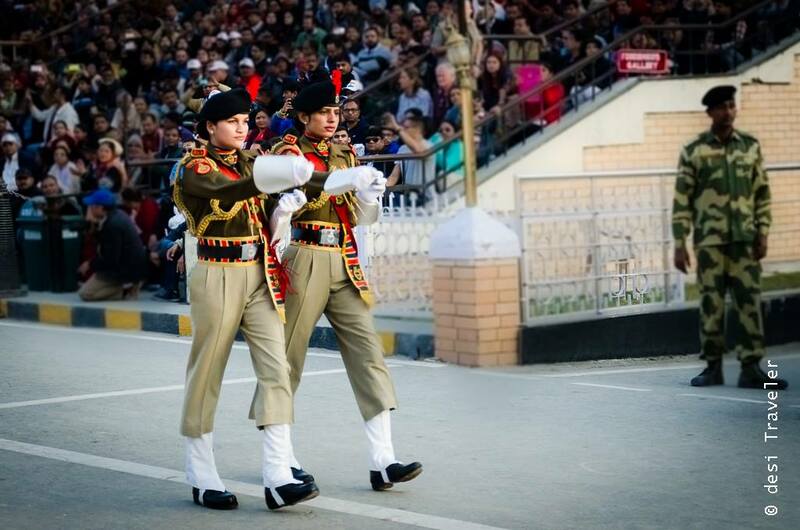 The actual Parade Ceremony at Wagah begins around 5 pm when a good tempo of slogans has pumped up the energy. 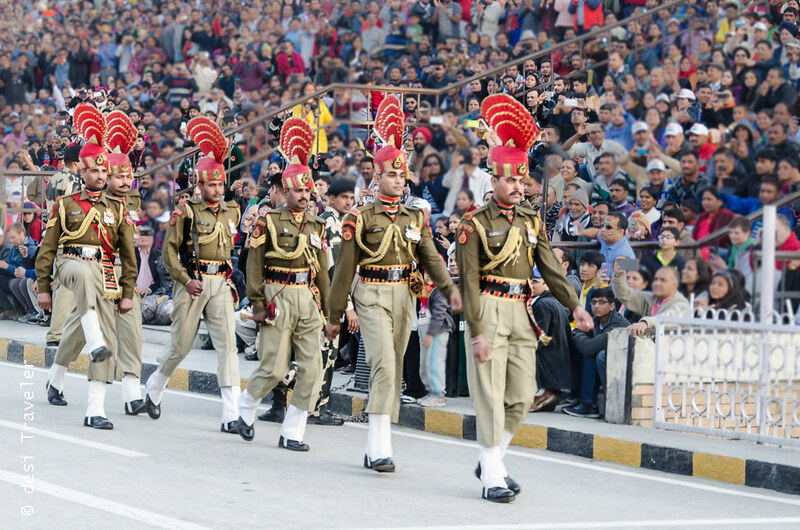 As the Wagah Border Parade ceremony starts around 5 pm, the BSF Jawans and officers march towards the Iron Gate that separates the two countries and has is opened every evening for the Wagah Border Ceremony. The jawans from BSF and Pakistan Rangers try to outwit each other with looking each other in eyes, stomping ground like a raging bull, and when they stop their march, the legs rise high above their heads. On my first visit to Wagah this whole display of bravado seemed very impressive to me, but on this visit, I actually felt that this is actually a synchronized show only the two teams are playing to galleries. This by no means is to show any disrespect to our brave armed forces but only to say that it is a great visual delight to watch amidst all the sloganeering for us civilians who have no idea what the life of a soldier is, for us it is reduced just to a selfie and photographing opportunity and the soldiers know this and put up a great show. 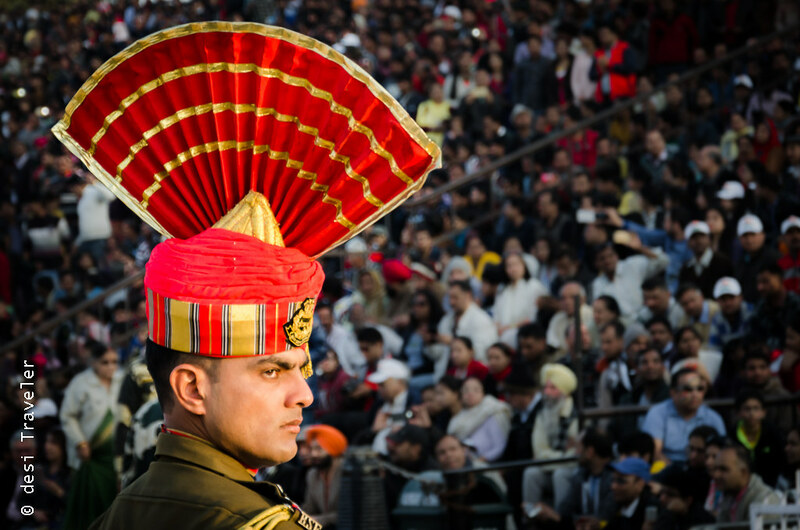 What actually happens in the Wagah Border Ceremony? Once the gates are opened the actual ceremony of lowering the flags begins, with trumpet plays and slowly the Indian and Pakistani flags are lowered in a synchronized manner to the music. All this while the two gates one belonging to Pakistan and one to India are open and one can see across the border without any hindrance. I take this opportunity to click pictures of the Pakistani side as this is the closest I have ever seen Pakistan or Pakistanis. The faces on Pakistan side are similar to the ones on Indian side only more people are dressed in traditional clothes and I see only a few kids in Jeans. Most of the women in the general enclosure are wearing Burka and cover their head but are still strikingly good-looking. No wonder our Bollywood producers keep on discovering and launching one Pakistani heroine after another. As the ceremony ends the men in uniform shake hands still trying to size each other. Soon the flags are folded, and the soldiers close the gate and while the Pakistani side is soon abandoned, on the Indian side it is a mad rush to run and touch the gates by the overzealous crowd. A lot of selfies and picture are clicked along with the gate and BSF jawans, and then you start hearing announcements that we need to vacate the stadium as the ceremony has ended. I too start walking towards our parked vehicle wondering about what all I had seen on the Wagah Border. 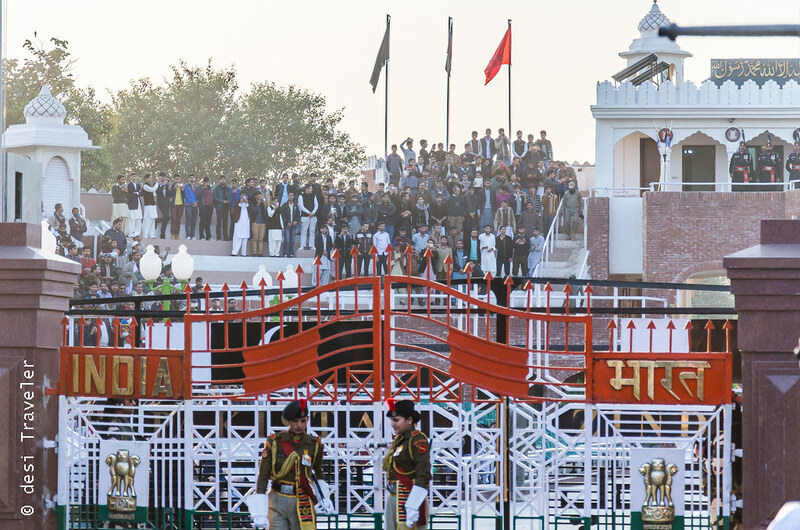 Not much has changed here in the ceremony since it first began and has survived a bomb attack on Pakistan side of Wagah border by a suicide bomber on 2nd November 2014, killing more than 50 people and injuring 100s. 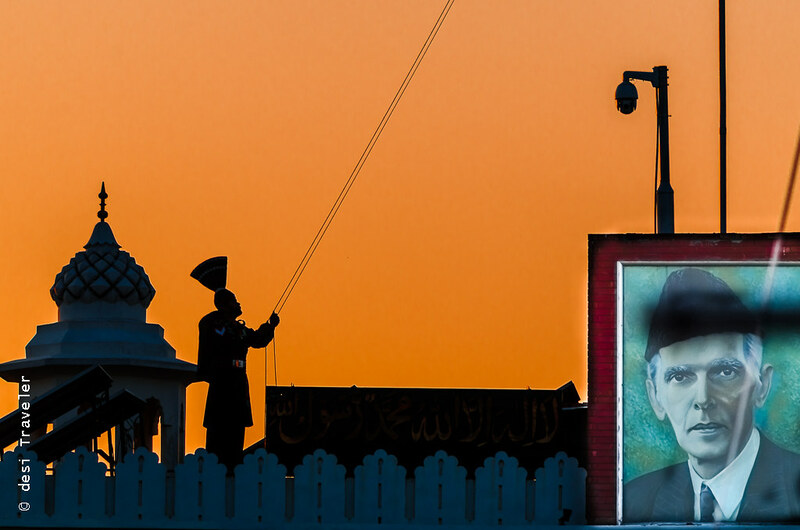 One is about Amarjeet Singh, the first Sikh Ranger in Pakistan Army and posted on Wagah Border. Amarjeet hails from Nankana Sahib, the birthplace of Shree Guru Nanak Jee. 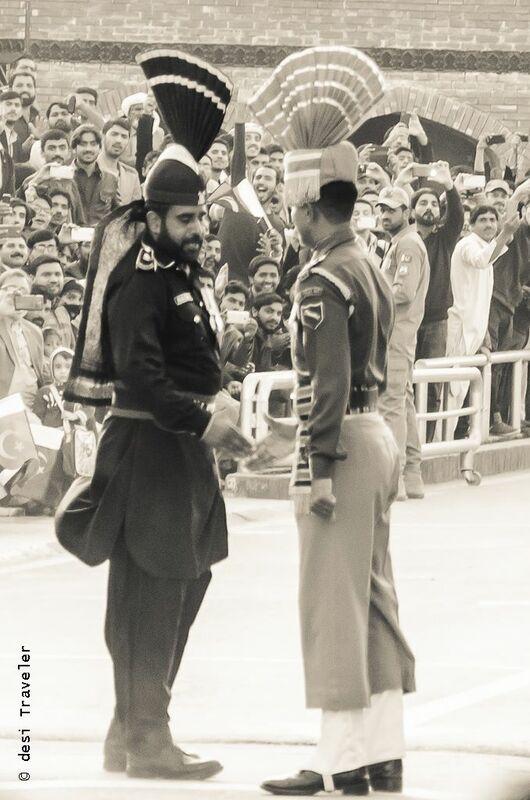 Amarjeet is a Pakistani and believed to be first Sikh ever to join the Pakistan Armed forces and has vowed to fight the enemy to protect Pakistan. Now if you look at history than we and Pakistan are not best of the buddies and are willing to go to war if needed. The second incident is again about a Sardarjee, an NRI who god knows under what circumstances either drunk or a moment of bravado jumped all the security checks and rammed his SUV into the gates between two countries. 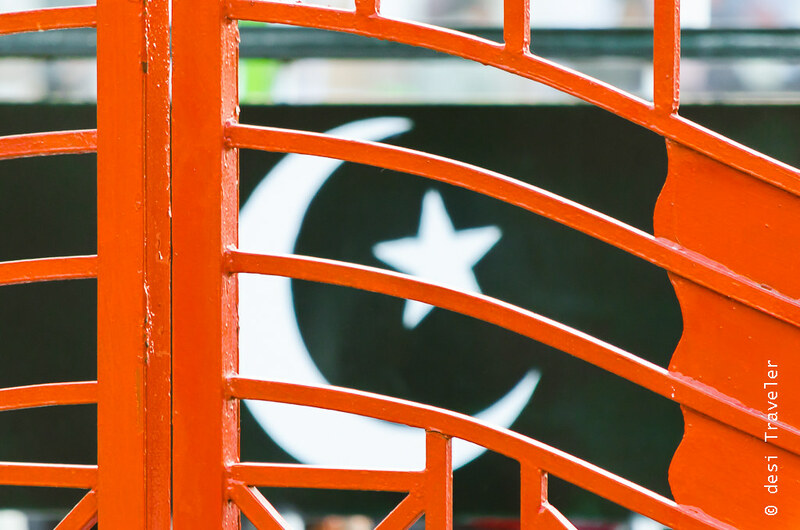 He could not cross the border, but one of the theories floating around was that he wanted free access to Nankana Sahib the holy city for Sikhs. The second incident was also widely reported in both Indian and Pakistani media. Two incidents, two Sardarjis on two sides of borders. One has taken a pledge to protect the border and the other wanted to break the border. I am sure like millions of families in both India and Pakistan they have roots in this land before the border was decided and we became 2 countries. Amarjeet’s family decided to stay in Pakistan at the time of partition and today he is protecting Pakistan, the NRI Sardarjee’s family moved on but is still missing the roots. Who is right who is wrong ? I don’t have an answer, do you? But just add Syeds, Khans, Chowdhry, Kapoor, Sethis, and countless other last names that people of both sides of Wagah Border share and you are bound to Imagine, just like I did, just like John Lenon did. Now here is what I imagine, call it my wishful thinking, inspired from John Lenon, and not considering me impractical just imagine, as he says it is not too hard if you try. Let us fast froward to a date sometime in future, all hostilities, differences and disputes between India and Pakistan have been resolved amicably. We are like Europe, with individual sovereign governments etc. but open borders with people and goods moving around freely. And when I say people I mean there are no terrorists anywhere becausethere is no reason for anybody to indulge in any form of terrorism. To show to the people what happened in the past the ceremony begins with mock hostilities, stomping of feet, jingoistic slogan shouting, sizing of soldiers etc. Then as the gates open the soldiers on two side look at each other and start walking towards each other with bloodshot eyes. Then at a dramatic moment just as everybody is looking for some kind of bravado or fight, suddenly the body language of the soldier’s change and the clenched fists change into open arms. Maybe I am a dreamer? But I am not alone I am just stating what John Lenon Mentioned. Just look at Europe, a war-savaged region for more than 2000 years, ever since the Roman Empire disintegrated. It took the Europeans 2 millennium to reach the current state of relative peace since Second World War. So it is not wishful thinking that one day there will be much-needed peace between India and Pakistan and only travelers will cross the border that too without any hassles. The Flag Lowering Ceremony on Wagah border takes place every day around sunset, it is better to reach latest by 4:30 to get better seats. There are separate galleries and entrance for foreigners and NRIs. You are not allowed to carry any large bags, tripods etc. to the ceremony and there are only private lockers near the parking, so better not carry anything that is essential. Nearest Airport to Wagah is : Amritsar. 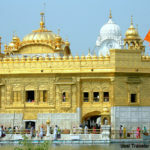 Nearest railway station to Wagah is – Attari, but Amritsar railway station is well connected to most major cities in India. 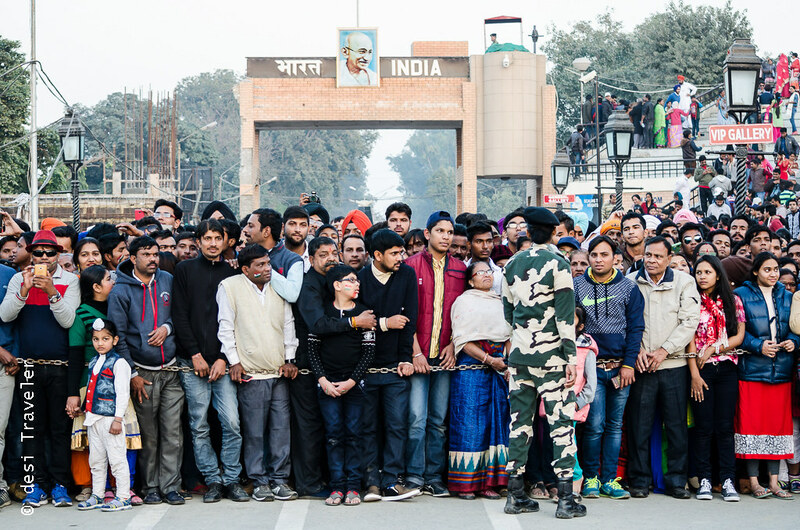 What is Wagah Border Ceremony Timings? Ah, I was wondering you will have the question about Wagah Border Ceremony timings, but do I have the answer? Well, let us remember that we are “THE desi people” on both sides of Wagah Border. So no matter how hard we try the ceremony never starts at a fixed time, in case there is a fixed time. It all depends on the josh of janta, the heat of the moment, season of the year etc. As I mentioned the song singing and slogans etc. 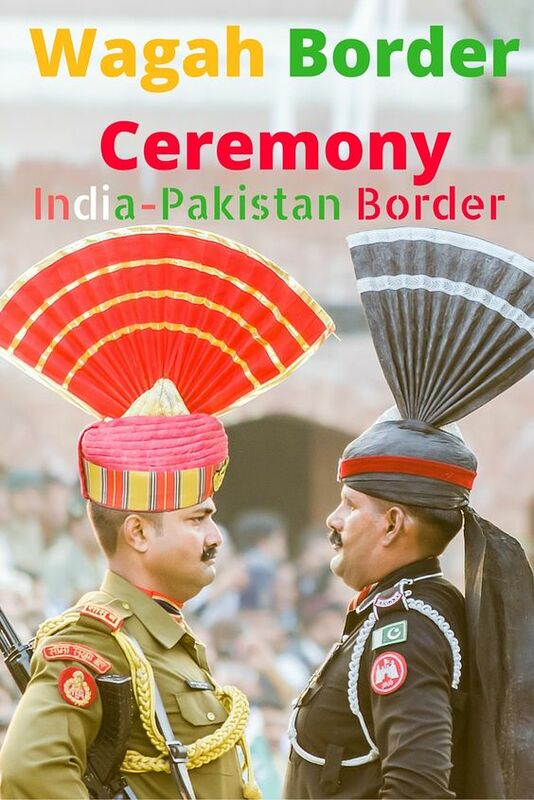 start early in the evening, but the actual Wagah border ceremony when both Indian BSF and Pakistan Rangers starts the actual ceremony by opening gates, shaking hands etc. starts once the stadium on India side is full. 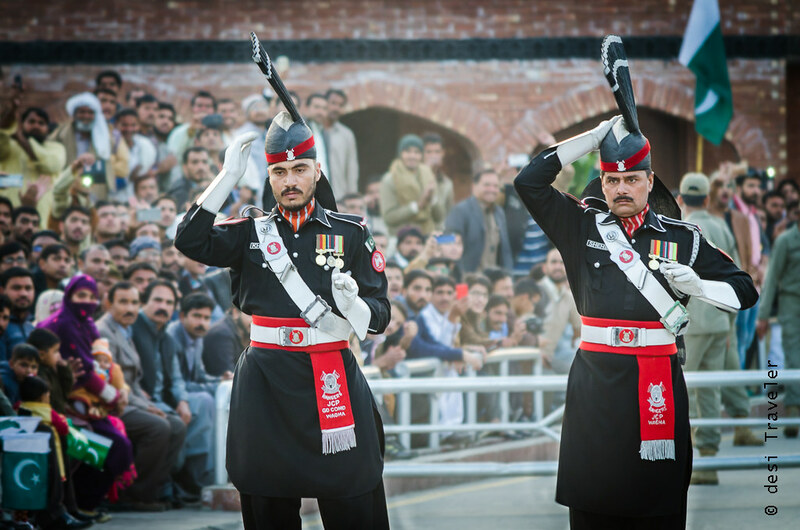 Depending upon the time of sunset, the flag down ceremony at Wagah Border normally starts around 4:30 pm in winters and 5:30 pm in summers. But it is a very popular event, more so on weekends and holidays, so my suggestion would be to reach as early as your schedule permit to get better pictures. Zero, Zilch, nothing is the price of the tickets to watch Wagah Border Parade. 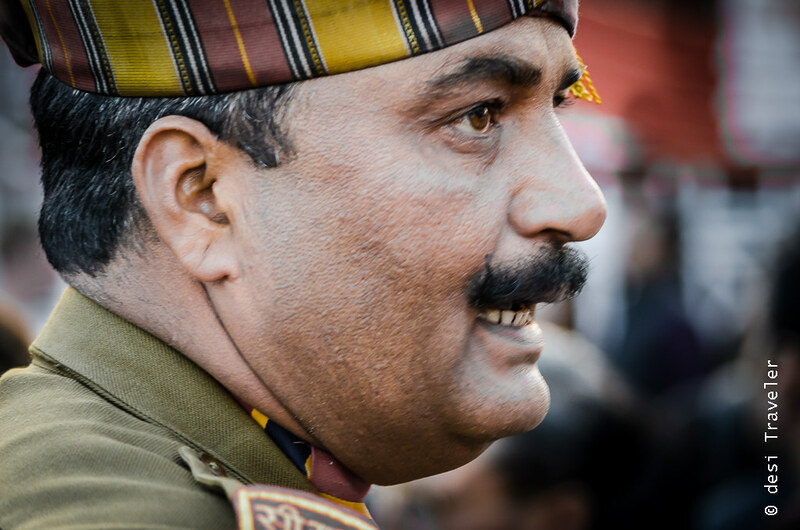 Thanks to our Border Security Force who manage the show and the stadium you don’t have to pay anything. May I request you to cooperate with the soldiers doing security checks there? 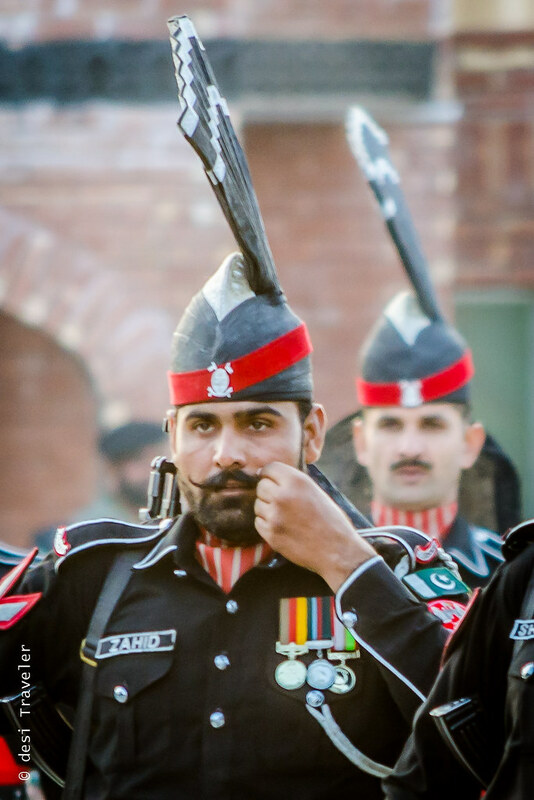 This is the least you can do and keep your ” You Know Mera Baap Kon hai ” Attitude in your home when visiting Wagah Border. 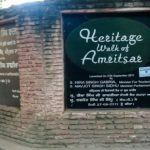 Best way to reach Wagah border is to take your own car or a dedicated taxi to Wagah as you can drive right up to parking area, in about 30-45 minutes from Amritsar which is about 31.5 KM from Wagah. Private shared taxis are available from Golden Temple for Wagah Border that will take you to Wagah and also bring back for a fixed price. 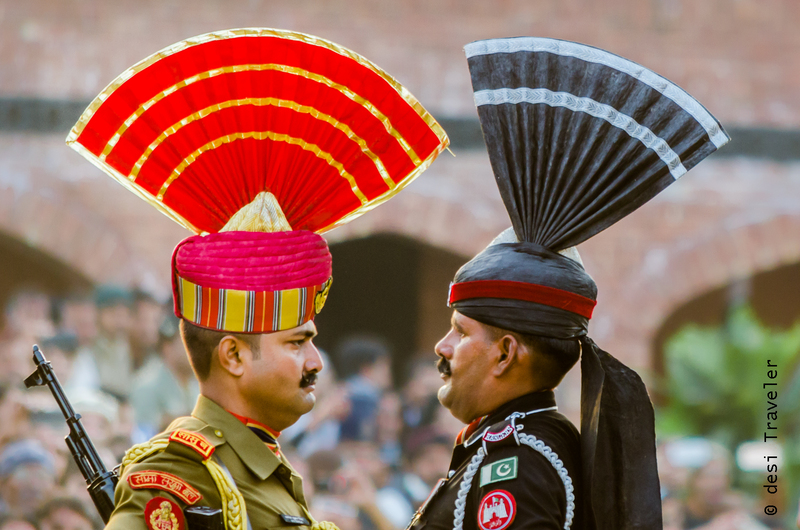 What to see near Wagah Border? If you have time there are a few interesting places to see near Wagah Border on the Indian side. 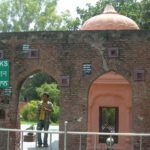 There is famous Pull Kanjari built by Maharaja Ranjit Singh for his favorite court dancer and you can also visit Atari Railway Station nearby. 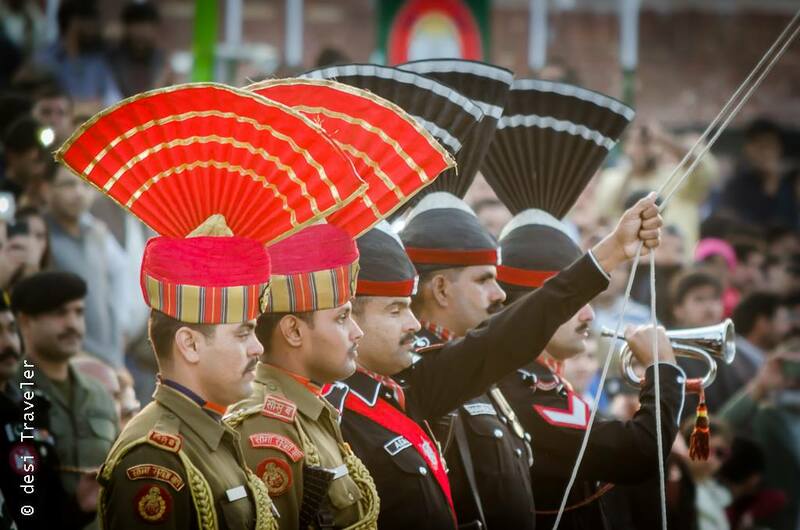 What can you carry to Wagah Border Ceremony? You are allowed to carry cellphones, camera, water bottles and small snacks like biscuit etc. to the Wagah Border Ceremony. What is not allowed: Large bags, power banks, firearms, knife etc. are not allowed to be carried to the ceremony. If you have liked reading the post please feel free to subscribe by email & share it with your friends on Facebook, LinkedIn, Twitter and Google+. 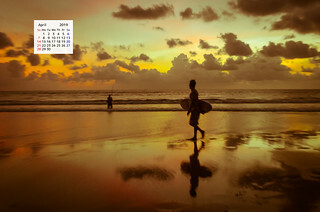 It was so nice to read your blog and I specially loved the pictures. I came across your blog while I was searching for NRI’s at Wagah border and it helped in answering my queries. Can you please tell me if I need to carry my passport or any other ID is ok? Also, how early should I go? 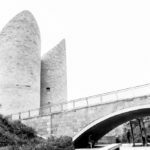 Thank you for the awesome blog! 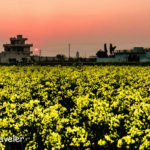 Hi Deepti: Thanks for visiting desi Traveler. If you want to enter via the NRI / foreigner entry it is a good idea to carry your passport as it will be checked. I would suggest you go a minimum of 45 minutes ahead of schedule to get best seats on weekdays and an hour early on weekends/holidays. Please do share your experience of visiting Wagah Border. All the best. 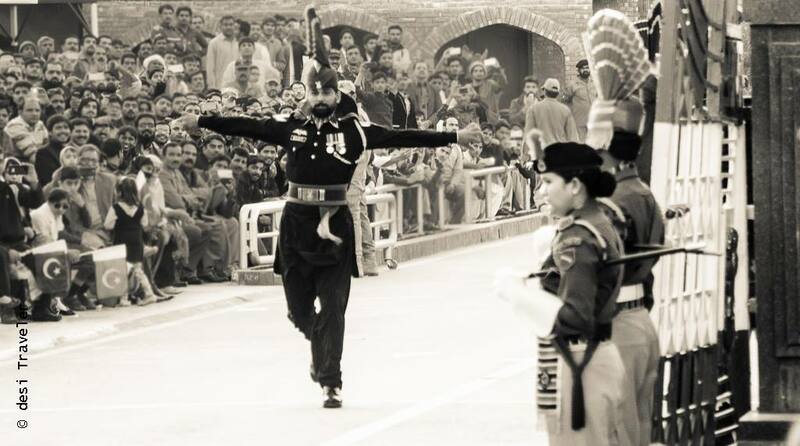 I lived so close to wagah border but missed every opportunity to go there. Am I destined to go there as a traveller only. Or may be you can go as ambassador of peace ? I’ve never been in this part of the world but it is interesting to learn more about the local traditions! I am quite surprised to read that this ceremony takes place every day.. must be a lot of effort behind. I also love the song ! I have been there only once and I couldn’t agree more. 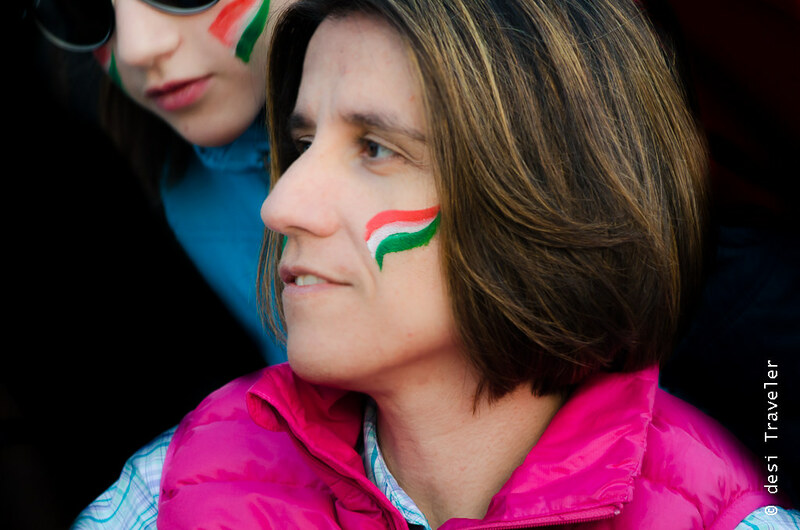 The patriotic emotions overpower us and then the same feeling of us being one. Why borders? Koi post likhe to Prasadji jaisa likhe 🙂 It was so much fun to read this post. Your keen observations on the ceremony creates clear picture in mind about what’s going on there. We liked the idea of digging out old photos to showcase old version of the ceremony. What a remarkable description of the ceremony Prasad. And the pictures are just as beautiful. Reminds me of the time when we had visited the border… still gives me goosebumps! I had goosebumps while reading ! Loved all the pictures.